Am kommenden Dienstag beginnt die verrückte Week 13 im iRacing Service. Doch nicht nur das, es ist auch UPDATE TIME! Wir fassen für euch zusammen was es zu erwarten gibt und zeigen euch die wichtigsten Fakten, rund um die Neuerungen. In 2 Videos klärt der off. Youtube Channel von iRacing die Enthusiasten über das kommende Feature auf. Tony Gardner (Präsident iRacing.com) und Steve Myers (Vizepräsident) erklären einige Details. Ein kleines Tutorial zum Teamracing wurde dann gestern veröffentlicht. Es wurde schon vor einigen Monaten davon gesprochen, nun scheint es soweit zu sein. Der Ford GT, welches bis dato nur in der GT2 Variante bei iR erhältlich war, kommt nun auch in der GT3 Version und kann dann u.A. in der GT3 Challenge bewegt werden. Wir sind gespannt wie er sich gegen den BMW Z4, den McLaren MP4 und den RUF Track durchsetzten wird. Wir hoffen auf einen ausgeglichenen Kampf der Hersteller und freuen uns über das zukünftige bunte Bild in dieser Serie. Das Modell des GT3 hat einige Änderungen ggü der GT2 Version erhalten. Am auffälligsten ist wohl der neue Heckflügel und die kleineren Spiegel in der GT3 Variante. Außerdem soll die Physik nicht nur auf GT3 "gemorphet" worden sein, sondern anhand von Daten eines realen FordGT3 berechnet sein. 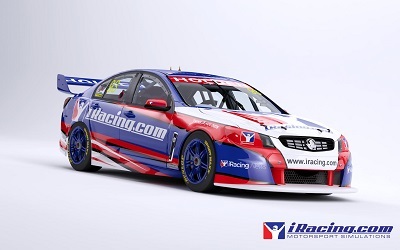 Ein ganz besonderes Update erwartet die Fans der australischen V8 Supercar Series. Der Commodore wurde in den letzten Monaten erstellt und ersetzt vorerst, den in die Jahre gekommenen, Ford Falcon V8. Dieser zieht sich für mindestens eine Saison aus dem off. Service zurück und wird komplett überarbeitet. Viel dazu sagen kann ich nicht. Es geht aber auf jeden Fall Links herum und es scheint auf den ersten Blick ein Shorttrack zu sein. Mehr dazu können aber sicherlich die Fachmänner sagen. Die kommende Saison 4 wird nur 6 Wochen lang sein. Dies wird aber eine Ausnahme sein, die nächsten Saisons werden dann wieder über einen Zeitraum von 12 Wochen ausgetragen. iRacing will damit wieder Näher an den realen Kalender anknüpfen und so nicht mehr in Bedrängnisse mit Weihnachten oder ähnlichen Feiertagen kommen. Ein großen Vorteil für uns - das nächste Update kommt eher. Dies sind die aktuellen Fakten über die Lage bei iRacing. Wir freuen uns auf Dienstag und schlafen schon schlecht! Wieder ein tolles Update, da weiß man gar nicht wo man anfangen soll! Freue mich auf die Season die nur 6 Weeks betragen wird, da werde ich bestimmt ein paar Serien durchkauen. Außerdem bin ich gespannt auf den Swap, jedoch wird das für die ersten Wochen bestimmt wieder ein Chaos. Muss mir erstmal paar Jungs suchen die mit mir das Auto teilen. Noch ein paar Sachen oben hinzu gefügt! Gateway + das große Fragezeichen! Es wird noch definitiv das Wheel-Paint erweitert, also können wir uns bestimmt an weiteren Fahrzeugen verpinseln. Sehr, sehr schön. Oh welch Freude! Wie bitte was? Wheel Paint? Oder meinst du damit das man es im Skinfile direkt abspeichern bzw. festlegen kann? Nö, die Funktion die Felgen bei weiteren Fahrzeugen zu färben wird erweitert! Und das bestimmt mit Sicherheit. Jab, bitte mit Autor Steffen (racemore.de) und Link zu uns am Ende! Some official iRacing series and special events (such as the World Tour) will be set up for Team Driving, and will be so designated. These sessions will have a defined minimum number of drivers that each team may field, and may also specify a maximum number of drivers on a team. n laps driven / out of r laps required as of now, or (R) laps estimated to be required by the end of the session. In addition to the "minimum number of drivers," sessions have a separate "maximum number of drivers" setting. In this same example, say that a team wants 6 of its members to drive. Then for all 6 drivers to be "Official" and receive championship points, each would have to drive their fair share of the laps. An equal share of 100 laps for 6 drivers would be 100/6 = 16.67, and a fair share of that would be 0.25 * 16.67 = 4.17, "ceiling'd" to 5 laps. So once you go beyond the minimum number of different drivers in the session, the number of laps required for each driver can be smaller. · Yellow indicates team driving. · Black indicates a fixed-setup race. · The updater is still in the upper-left portion of the site, but is redone. · The primary navigation is moved to the upper-right portion of the site, away from the license. - The data refresh mechanism now remembers where you were on a page, and when you continue refreshing will take you right back to where you were to continue a seamless experience. - A content bar on the Cars, Tracks, and Account pages show how much content you own. Can you fill the bars and join the 100% club? - When hosting a race, you may now select as much Qualifying time as you like (previous cap was 30 minutes). · 1-hour sessions are $0.50. - Hosted sessions now allow up to 8000 laps. - Hosted and League session admins are allowed entry into sessions regardless of iRating or license restrictions. - Spotter passwords must now be only upper/lower-case letters and numbers (alphanumeric) - please take a moment to reset your spotter password (if you use one) to avoid potential issues with people spotting for you. - Driver search forms now support international character input (e.g. Cyrillic). - Registration forms now support international character input (e.g. Cyrillic). - Fixed a glitch where buying new content then updating content would result in a broken frag page. - View Team Driving race results broken down by Team and Team Members involved. - New interactive Lap Graph. - Results pages are now 100% width. - Results pages now display certain events that occurred during the session. Drivers getting in/out of car are recorded during Qualify and Race sessions. Penalties applied/served are recorded during all session types. Caution periods are recorded during Race sessions. Lead changes are also recorded. You can highlight particular types of events, and events associated with particular teams. - Added a new "DQ Scoring Invalidated" "reason out", which will appear in the Results pages. This is needed so that League scoring can distinguish this type of disqualification (where your score card is ripped up), versus a normal disqualification, where your prior laps are counted but scoring is ended for you. - Added support for the Oculus Rift DK2 utilizing the 0.4.2 SDK (with several custom bug fixes). - Although the Rift's new direct access mode is functional with iRacing in some cases, the simulator seems to operate best with the Rift configured as an extended desktop monitor. The Rift's direct access mode is known to crash or fail in many PC configurations, particularly configurations including multiple GPU's (and not only with iRacing). Even when it works, it usually works better in extended desktop mode - direct access mode is still a work in progress. So to start with, we recommend to configure the Rift in extended desktop mode, following the user guide from Oculus (1920x1080), and once the Oculus demos run properly, then try launching Racing. - Positional head tracking is not yet enabled in this version (development is in progress), but the VR experience is already very functional via the Rift's HMD orientation sensors and a simulated neck model. - The rendering of the user interface in 3D has been greatly improved in this version of iRacing as it is now fixed in 3D space about 3/4 of a meter away from the viewer. - To enable anti-aliasing with the Rift (recommended) it is necessary to use the simulator's graphics options rather than using device driver settings. This is because the anti-aliasing is performed on an off-screen multisampled render target, which is then downsampled and warped to the smaller rift display. Setting anti-aliasing via the device driver won't work properly in this case. The enabled mirrors will now render every frame. The disabled mirrors are blacked out. - It is now possible for a driver to get out of the car while leaving the car in their pit stall, even in single driver events. When viewing a driverless car (Live or in the Replay), the car will have no driver in it. - When viewing a car in the simulation, the helmet of the person who is driving the car is shown. Just as you could see an all-white car if you have LoadTexturesWhenDriving=0 in renderer.ini, you could see an all-white driver helmet in a car if the driver's helmet paint job has not yet been computed. All-white helmets will become painted when you get out of your car. - The tire tread band yaw response has been improved, and is much better at low speeds, and when stopped. Now while at very low speeds the steering will feel heavy because you are trying to turn the tread but it is not able to roll enough to relax that motion. You should be able to feel the difference in higher and lower pressures much more at low speeds now. The tire will feel different even up to 80 mph, where the new low speed code approaches the old model. - The main screen got a good overhaul to add support for driver swap sessions. - The various results tabs have been merged together into one tab that lists all results for all sessions at once. - A new Info tab was added to give more detail about how the session is setup, and in particular to give a detailed description of the driver swap rules that are in effect for the current session. - The Entries tab was extended so that all members of a team are visible in a team session. - Your car is now shown on the main screen, along with the track name and your setup in order to reduce confusion about what car you are driving in a multi-car event. - Added a search/position-change progress indicator to the replay slider. This is useful for monitoring the progress of your request in large replays. - Show driver change lap requirements in the F1 and F3 black boxes. - Remove file size column in file dialogs and replace with date/time column. - Removed overlap in the tire pressure black box that caused part of a check box to be not clickable. - Stopped name decomposer from incorrectly identifying names that start with ii from being tagged as a suffix, resulting in some members' first name being detected as their last name. - Added a new IsOnTrackCar variable to augment IsOnTrack. IsOnTrack now indicates that the driver is in the car, and IsOnTrackCar indicates that the car is on track, with or without a driver. - Properly handle negative numbers in YAML parser. - Force a 5 second timeout before starting to log telemetry to disk again, after shutting it off. Or if asked to swap files, ignore swap requests for 5 seconds after a successful swap. - Open up downward head motion to ~4" with TrackIR. - Let blimp camera be scenic cam. - Separate the gas and brake pedals on a XBox 360 wheel. - There is a known bug in the replay spooling system at the moment that can cause the replay to freeze up and become unresponsive, and sometimes even crash the sim if you have replay spooling active while trying to watch a replay of a session you are still connected to. You may want to turn off spooling for now, or if you want to record a long race with spooling enabled, make sure to save the replay once you're done and before you start trying to watch the replay. Loading a replay from disk with spooling enabled appears to be safe. We're working on trying to track the issue down. - All cars with ABS braking now have an improved ABS algorithm. - All cars with windshields, fixed a bug in the windshield tear-off pit guy's pit script that was preventing him from ever reporting as being finished when doing pitstops where the windshield tear off was not selected when starting the pitstop, causing the pitstop timer to count up endlessly even after the stop was done, causing confusion about whether the pitstop was really finished or not. - Update the GT3 cars to equalize green flag range to about 65 minutes on a full tank of fuel. 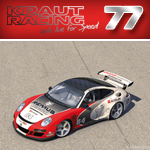 - Update the GT3 cars to equalize fuel fill times - a full fill should take 40 seconds. - Changed re-fueling increments from 5 liters to 1 liter. - Set the minimum fuel level to 5 liters. - Reduced variability in fuel fill rates. - Pit crew now waits to change tires until fueling finishes. - Pit crew now use tire warmers set to 80 deg C. This reflects the fact that tire ovens are permitted for Blancpain Series races (Sprint and Endurance) in 2014. - Number font changed to what is used in the Blancpain series. - Improve the tire so it doesn't feel like it's overloading while cornering. - Updated to 4 way adjustable shocks. - Increased the front bump rubber gap and the max front spring rate. This was done to address some odd handling characteristics that were encountered when the car transitioned into and out of the bump rubbers. - Rear shock travel increased to prevent engaging bump rubbers (Ride heights in existing setups will need to be updated to correct for this). - Updated brake system to use line pressures. - Rear toe limit reduced to +-10mm. - Made rear camera paintable. - Updated many iRacing setups. 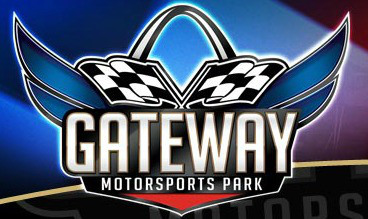 - Updated iRacing setups: atlanta_quadoval.sto, bristol.sto, charlotte_quadoval.sto, sonoma.sto, watkinsglen.sto. - Wheels can now be painted. - Increased power based on new dyno information. - Optimized the 3D model to improve frame rate. - Fixed a bug where backfires could cast a shadow. - Added a roof camera. - Fixed the metric units display for Fuel Available. - A few small aero adjustments. - Added setups for the new tracks on this season's schedule. - Backfires are now visible. - Updated the car with physics improvements and refinements from the new Holden. - Added a GT3 version of the existing Ford GT. This car is part of the Ford GT package so it is included if you already own the Ford GT. 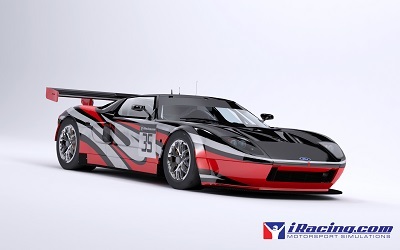 - This car will be included in the GT3 series, and is similarly matched to the other GT3 cars. The only significant difference is that it has a sequential gearbox, not semi-automatic like the other GT3 cars. - Update 6th gear rev lights in order to engage all the lights by 9900 rpm. - Slight update to obtain correct rear wheel rates to compensate for a subtle error in our suspension modeling. For the McLaren, this effectively reduced the rear wheel rate from approximately 981 lbf / in to 850 lbf / in. This change introduces significant understeer into pre-existing setups, which will need to be re-tuned to dial it out. - Added 15 kg as part of balancing performance with the other GT3 cars. - Rear wing adjustments now have a more noticeable effect on aero drag. - Number plate removed from specular layers. - Stiffer spring options are now available. - Updated the ride height sensors to match the FIA measurement locations as closely as possible. Also updated the allowable ride height range to match FIA guidelines for this car. The net result is that dynamic ride heights may be set significantly lower than before. This brings the CG height / track width ratio more in line with the other GT3 cars (previously, it was too high). - Recalculated the ARB stiffness using information contained in the FIA Homologation Papers (these weren't available when we did initial development on this car). This resulted in significantly stiffer bars than before that are much more in line with the other GT3 cars. - Updated to the New Tire Model. - Overhauled the rest of the car's physics, suspension, aerodynamics, etc. - Fixed side windows being black in cockpit. - Fixed the pit crew's corrupt normal maps. - Changes to the drafting to help overtaking.